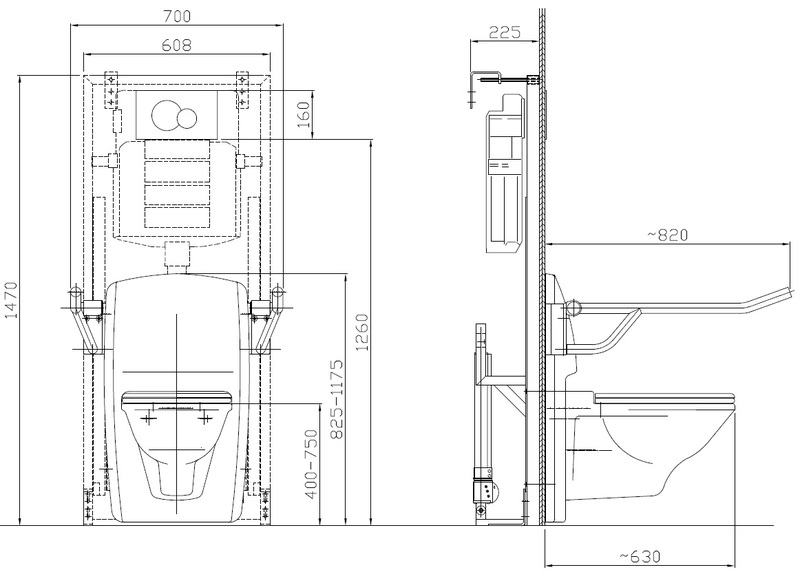 The lift toilet Care is an extension of the model ForAll. 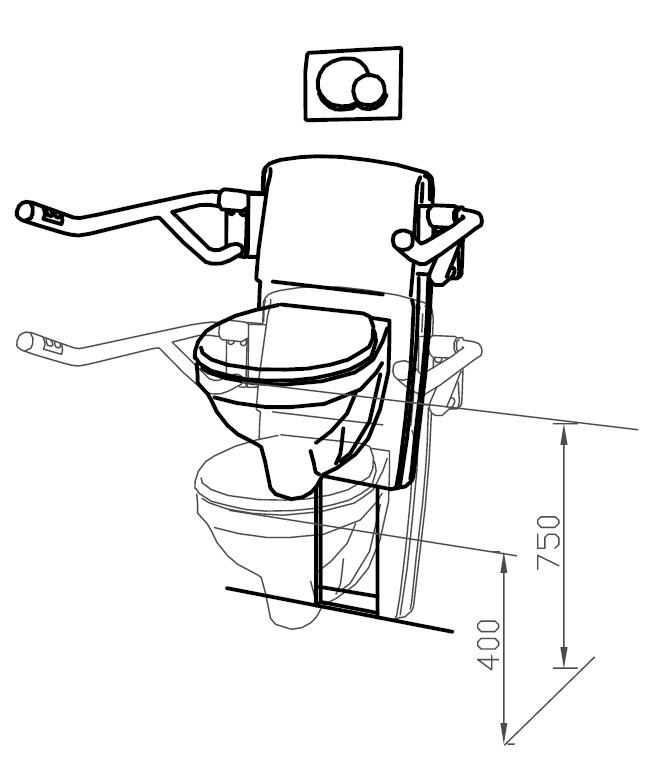 Beside the advantages of a classic lift toilet it offers an additional accessibility. 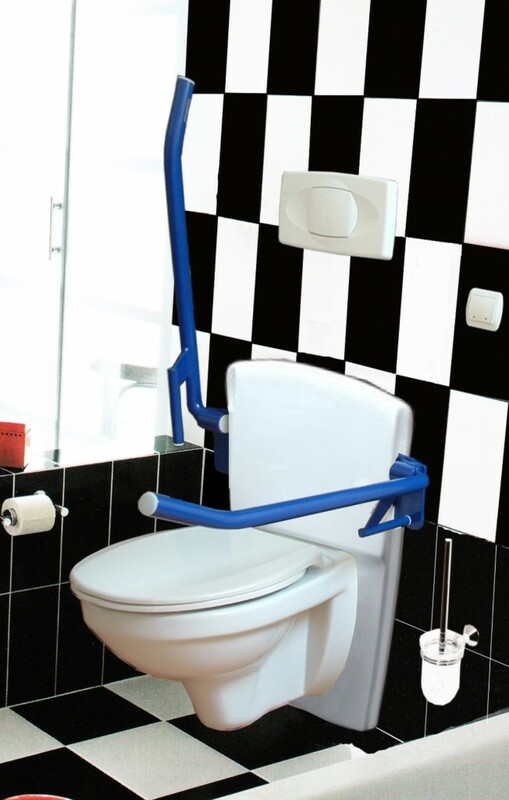 By attaching spring-loaded and extremely stable movable handles with integrated control keyboard on the toilet, the visit to the bathroom can be realized without further help. 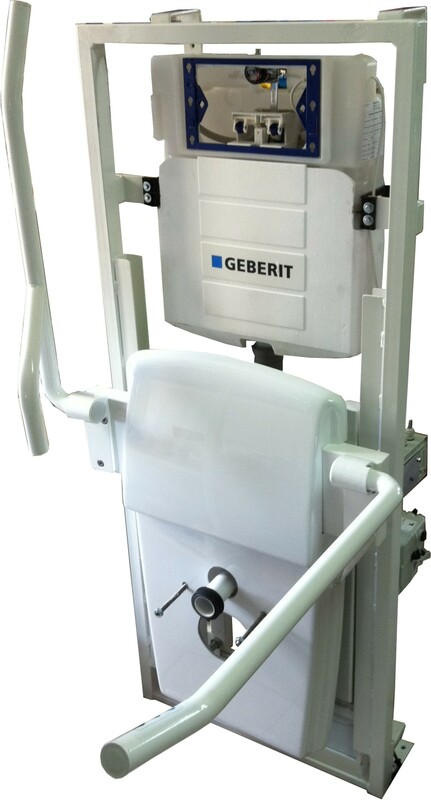 The lift toilet Care can be electrically adjusted in height in a range of 400 mm to 750 mm. 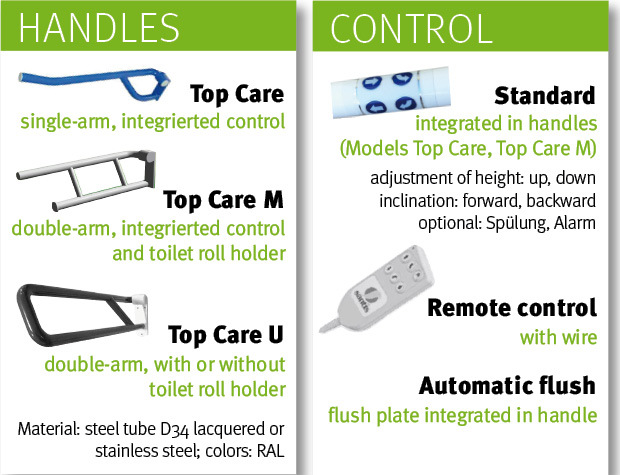 The lift toilet Care can be configured as desired. 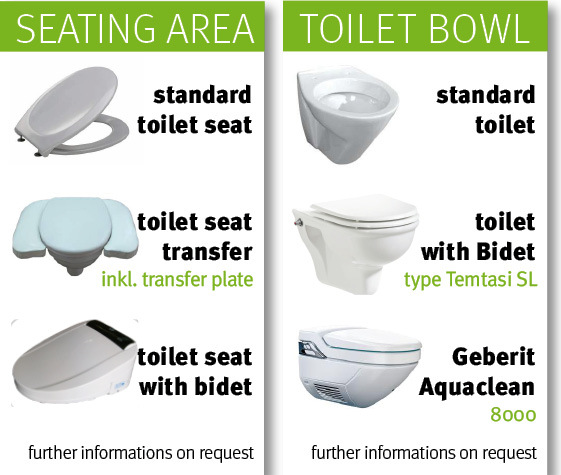 For the flush-mounted element, you can choose between different handles, controls, seats and toilet bowls. 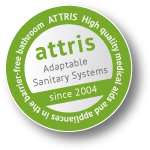 Just send us an inquiry using our application form and we would gladly put together an individualized offer for your toilet lift.